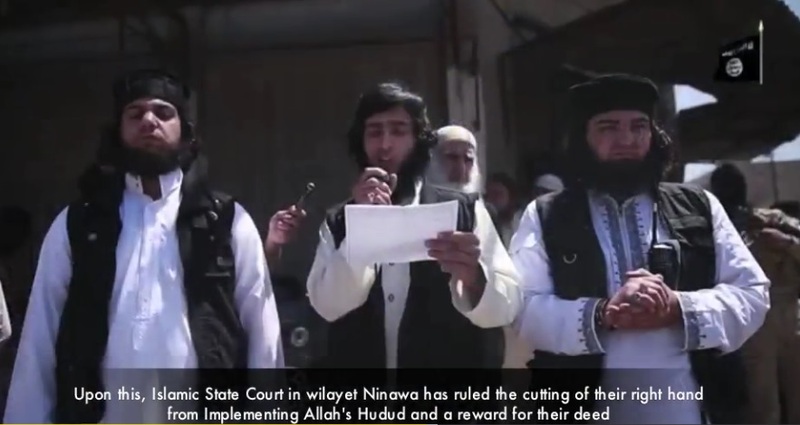 The Islamic State released video Saturday of a public amputation ceremony. The gruesome video shows thieves in the Caliphate confessing to crimes and then the public amputation of their arms. A large crowd gathered for the amputations. Several children attended the event. The thieves were paraded in blindfolded before they lost their arms. 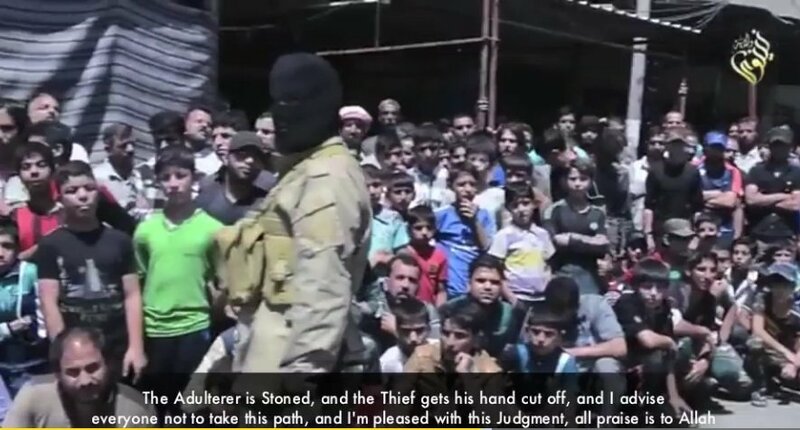 This robber praised Allah after ISIS cut off his arm.